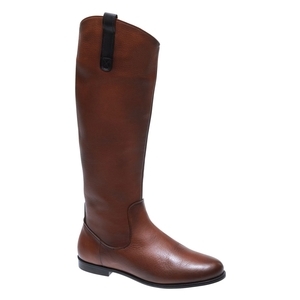 Sebago Plaza Tall Boot. Bundle up beautifully with this classic, equestrian riding boot in sleek leather. The flexible construction means comfort and durability are guaranteed. The sophisticated silhouette allows you to wear them anywhere and dress them up with belted tunics or tone them down with cozy, quilted vests. Very good price and excellent quality. Gorgeous boots great price and fantastic service.